Bishop Rhoades was accused of misconduct by the family of a man who died in 1996. The incident allegedly occurred while Rhoades was serving in the Diocese of Harrisburg, Pennsylvania where numerous allegations of sexual abuse came out of a grand jury investigation last month. 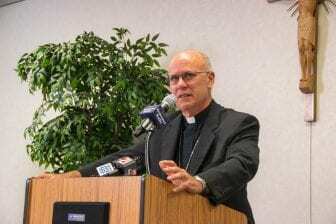 A new statement by the Fort Wayne-South Bend Diocese said the allegation against Rhoades arose from a pastoral care appointment at a prison. The Dauphin County district attorney determined that there is no basis to conclude that Rhoades engaged in a criminal or otherwise improper relationship.